ABUJA – Nigeria needs to improve its use of double taxation agreements, and the government needs to concentrate on ensuring that all future tax agreements are effective and beneficial to the country. While delivering a speech on March 19th at a workshop on tax treaties in Abuja, the Minister of Finance of Nigeria Ngozi Okonja-Iweala said that the country must continue its ongoing efforts to “… reform our tax system for Nigeria’s competitiveness in the global economy,” and explained that an effective network of international tax treaties was a key element to the reforms. According to the Minister, the government of Nigeria has initiated a thorough review of the implementation and use of double taxation agreements and tax information exchange agreements. She said that fostering a wide and effective network of international agreements will improve the country’s attractiveness as destination for foreign investment, and would act as a strong encouragement for entrepreneurs and businesses to move their operations into Nigeria. 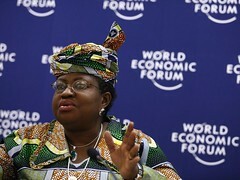 While describing the current network of treaties signed by Nigeria, Ngozi Okonja-Iweala said that it is still too narrow and the country’s lack of participation in international tax treaties is an active hindrance to foreign investments coming into Nigeria and the expansion of Nigerian companies to overseas markets. The Minister explained that the country now needs to continue to extend its treaty network, but at the same time ensure that they ensure that they provide a benefit to the Nigerian economy and business climate. Nigeria currently has 16 active double taxation agreements, and is in the process of ratifying two more. According to the OECD only 4 of the signed agreements currently meet international standards, while two do not, and 10 are yet to undergo a peer review.